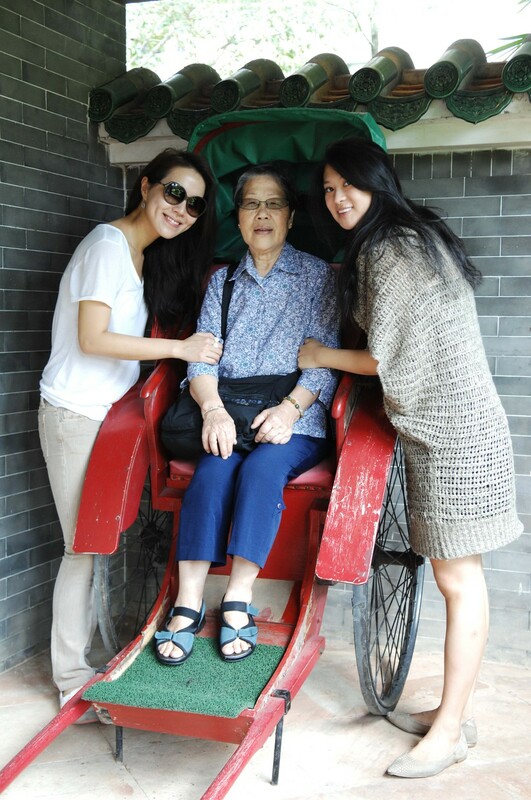 I am Jessie Lee, I have been involved with elderly outreach for 1 year. I started to have a burden for elderly people 2 years ago when my parents were diagnosed with serious illnesses. I wanted to do something for elderly people. The senior whom I have been visiting with Alda is Sin Po Po, who lives alone and had brain surgery before. I was very glad that after 3 to 4 visits, she started to recognize me. She always expresses her appreciation to us for spending time with her and bringing her gifts (prepared by church). I believe that we have developed a good relationship. Though what we can do is limited, I hope our visit is something that Sin Po Po is looking forward to. I truly think that it is important to give elderly people something to hope for, such that they see life is still meaningful for them, and that they are still loved and cared by others. 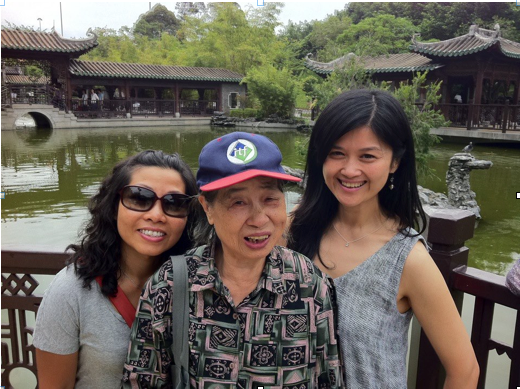 One of the more memorable visits was our field trip to Lai Chi Kok Park. All elderly were truly excited about being able to venture outside of their normal home and community. Sin Po Po too was in really good spirits that day. She enjoyed what she saw and enjoyed all the company she had. We invited Sin Po Po to pray with us in our visits, she never rejected us. I hope that in 2013, as we will continue to visit Sin Po Po, we can deepen our relationship with her and share the Gospel with her. I thank God and Hope of the City for giving me chance to serve in this wonderful program. In the past few months, my family and myself have been thinking of a business to serve elderly people, through this outreach program I found that I really enjoyed serving elderly people and I wanted to do more for them. The experience I have gained will surely help me in the business. Posted on January 11, 2013 by Hope of the City and filed under Volunteer Story, Tesimonies. Giving the best of our time. What does that mean for us? For many of us the best of our time is sleeping in on a Saturday morning after a night out with friends or after a long week of work. Getting up early in the morning to venture over to visit a stranger I hardly knew was not exactly high on my list of to dos. I had moved to Hong Kong in May from Boston and my very first elderly outreach event was on August 25th, the elderly Dim Sum Lunch. At the time I was apartment searching and the usual grumbles of an American expat living in HK were just beginning to surface ie small apartments, too expensive, not enough room. On Aug 25, Po Po (the elderly grandma) pulled open the gate with a warm smile as I stepped over the cardboard divider that is meant to keep rats out. My first thought was, how this tiny place with two bunk beds and stacks of clothes piled up was even livable. My second thought was, I will never complain about my own housing again. My third thought was I probably haven’t even seen the worst of it yet in HK. As I was assessing my surroundings (and trying to keep up in Cantonese), my gaze fell on a tiny cross hanging on a very barren wall. Po Po was a Christian and sort of a fighter for God as she rallies up her friends for church. She also without fail looks forward to our monthly visits where she listens to us regaling her with our personal stories. Her apartment may have been small and cramped but her positive outlook, warmth, and focus on the blessings that she does have was really inspiring and humbling for me. The love she received from us was a reflection of God's love shining through. After that Dim sum Lunch I really felt that God was calling me to realign my priorities and sow more of my time into His Kingdom. It was a turning point in my own life as slowly I could see myself being transformed with my faith growing stronger as Isaiah’s “run, and not be weary; and they shall walk, and not be faint.” took on a deeper meaning for me. I joined North Point outreach on Nov 11 thanks again to another friend who was involved. I was signed up with a small family this time that consisted of a single father and his three children sharing a small room with two other families. The father was unemployed and not a Christian but the love that he showed his children was incredibly heartwarming. He doesn’t speak Cantonese and wants to find a job in a grocery market where his language barrier wouldn’t be an issue. He mentioned that he wanted books for his children and I said why don’t we pray about it. The next day, I received an email from Amy Tsai saying someone had made a generous furniture donation to the church in addition to … yes children’s BOOKS! I took some time to say my own silent prayer of thanks to God for providing exactly what this tiny family needed. In December when I visited this family again bearing toys that were donated from my friend’s toy company, I decided to go to Elim and buy a picture Bible for the children. Coming from a non-Christian family myself, I had my first encounter with God’s word after having discovered a picture Bible on the bookshelf at a sleepover. I was only 10 years old but by the time I was done reading at 3 am, seeds had already been planted. When the two younger daughters came back from the library, I very excitedly handed them their new toys along with their new picture Bible. The oldest daughter gazed at the picture Bible in my hand, bolted back to her backpack and handed me what she had borrowed from the library that day. Her own picture Bible. I started getting involved in outreach 5 months ago not knowing what to expect and already I’ve seen God working in miraculous ways. I knew God had led me to that Po Po and to that family not just because I could make an impact on them but that they can also have an impact on me and in turn remind me that God is always faithful. I am excited to see how God will continue to work through me or other volunteers as we continue to be salt and light to those afflicted with spiritual and material poverty. Mutually Joyous Occasions with IDEAL Members!